Samsung Electronics will be making Qualcomm’s upcoming Snapdragon 820 mobile processors, refueling speculation that the chips could find their way into the South Korean giant’s premium smartphones, thus winning back lost business. The chip-maker said Thursday it had begun mass production of logic chips utilizing its 14-nanometer LPP (Low-Power Plus) process, which is used to make its own Exynos 8 Octa processor. It added that the Qualcomm Snapdragon 820 processor also uses the 14nm LPP process and is expected to be in devices in the first half of this year. Samsung declined to comment on whether the Snapdragon processor would also be designed into Samsung’s phones including the upcoming Galaxy S7. Leaks of the device, rumored to be announced at the Mobile World Congress in Barcelona next month, have suggested that it could use the Snapdragon 820. Qualcomm said it has always used a variety of fab suppliers and will continue to do so. “Our decision to choose a specific process technology is based on its ability to meet our design goals for performance, power efficiency and yield,” a Qualcomm spokeswoman wrote via email. A chip fabrication deal may not necessarily translate into Samsung using the Qualcomm chips in the Galaxy S7, said Patrick Moorhead, president and principal analyst at Moor Insights & Strategy. Samsung runs their businesses in a very disconnected fashion, with its mobile and semiconductor businesses very separate, wrote Moorhead in an email. “Therefore, I don’t believe that the fact the 820 is built by Samsung increases its chances of being in the SGS7,” he added. Qualcomm lost business from Samsung as the smartphone vendor decided to use its in-house Exynos processor rather than the Snapdragon 810 chip in its flagship Samsung Galaxy S6 and S6 edge smartphones. Qualcomm said in April last year that it did not expect an immediate shift in its share of components in Samsung’s premium devices and cut its revenue guidance for 2015. But a shift could come because the 820 offers better performance than the Exynos. “I do believe Samsung must use the 820 to be more competitive with Apple. 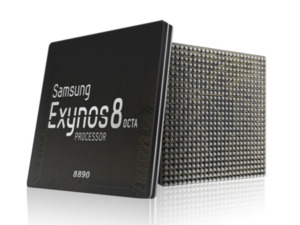 820 hits performance per watt levels Exynos just can’t hit,” Moorhead said.